Today was a frustrating, but somewhat rewarding day. My initial target was Pine Bluffs, Wyoming. We headed up to Cheyenne in the late morning and watched storms fire off of the Laramies. We followed one east toward La Grange. This storm was strong but never really became severe, holding a rather consistent strength. Things weren't turning out as forecast ... I'm not sure why, but I'm thinking there was some trouble with a stable layer. We saw a couple of boundaries and spent all day under the cu field, but nothing explosive really happened. We abandoned our northern target as storms became strong to severe down in Colorado. 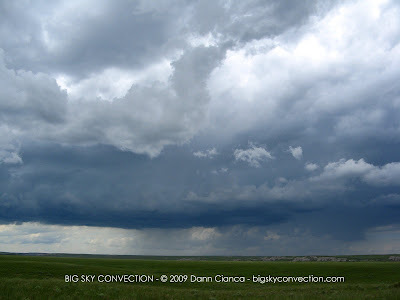 As we approached Cheyenne again, we observed strange storm motion and concluded that there was some sort of boundary or mesobeta-cyclone in play. 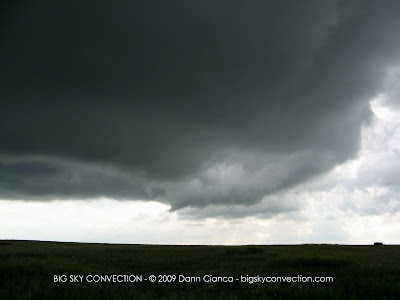 We watched a lowering on a storm just southeast of Cheyenne and decided to punch through its meager core. 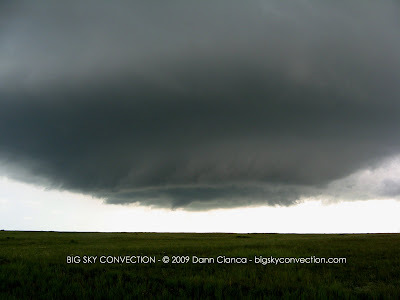 As we passed through, we watched with delight as a nice mesocyclone and wall cloud spun about. Soon, we realized the precipitation was gone! This thing was all by itself out there, just spinning way ... with rapid inflow and some pretty intense vertical motion. 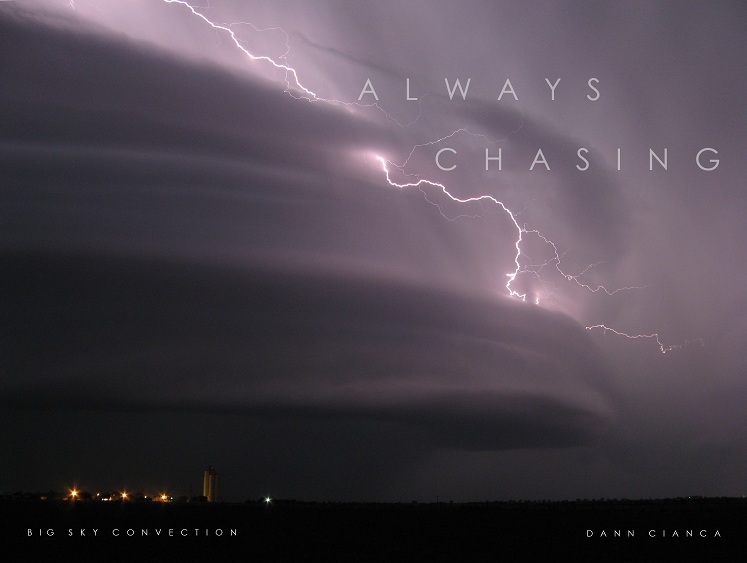 I called the "rapidly rotating wall cloud" in to the Cheyenne NWS and came close to reporting funnels a couple of times, especially as a parcel of descending air punched through the back and wrapped up a brief circulation. 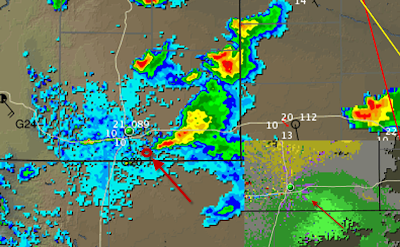 Eventually, we had to let this storm go in favor of the severe/tornadic cells in Colorado. We drove ... rapidly to Kimball, Nebraska and then south on 71 all the way toward Brush. We encountered some flooding north of Snyder which almost sent us off the road. There were a lot of hangy-downies with this wall cloud and parent hooked supe, but we were unable to ascertain any definite funnels given the amount of light present and the rapid movement on the cloud base. There are a few "blurs" on other photos that could be something, but we'll never know! We watched this storm for a bit and finally decided to head home. The only reason I say that I was frustrated centered around the fact that my first target didn't pan out and we missed some tornadoes in Colorado.